Looks like Microsoft is going to power Cortana and Bing with more useful capabilities. At the day 1 keynote of BUILD 2017, Microsoft has today revealed that bots built with Microsoft’s Bot Framework (current used by bots in skype UWP app) will be coming to Cortana, Bing, and Skype for Business. The chatbots available on skype and others on the way can be used to book movie tickets, order food, get latest news or weather info and so on. Microsoft introduced their Payment request API to Edge browser with the creators update. And today they have announced that it will now be integrated into the Bot Framework which is pretty Great. 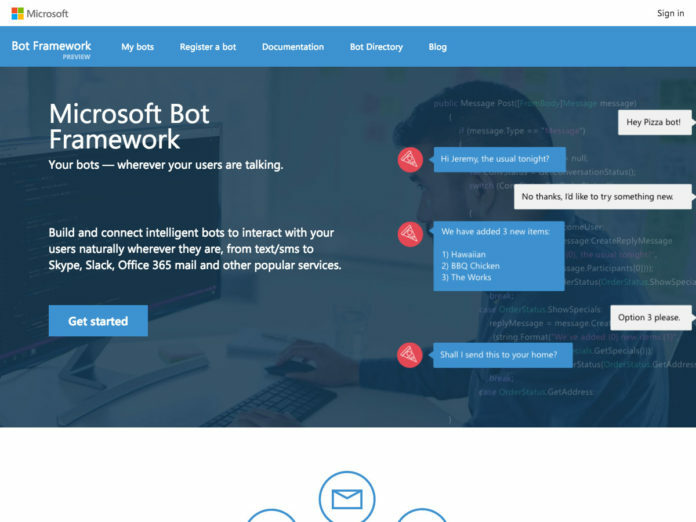 The API will allow developers to use these API to get payments done for anything inside bots very easily using your Microsoft account.